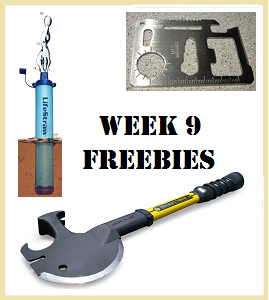 Week-9 Freebies Offer: Serious Preps! 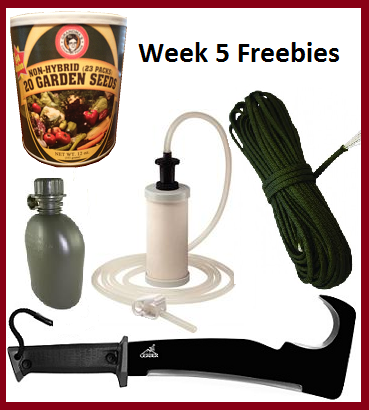 Another week of free goodies to add to your stash! See this week's member email. "A couple of years ago, I was able to salvage 3 pick up truck loads of 30 year old food storage that someone was taking to the dump. "I brought it home to feed my chickens. "It was an interesting lesson. They had several brands of freeze dried, dehydrated and grains stored with nitrogen that they had bought in the 1970's. "The wheat was still good and I passed it on to a family for their food storage. "The survival seeds which said on the can that they were packed in nitrogen had been eaten by bugs IN THE CAN!!! "Some off brand freeze dried stuff was as black as coal and I had to throw away. 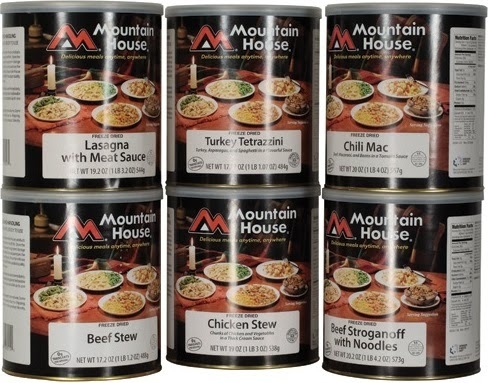 "But ALL of the Mountain House stuff was good. The peas, green beans, corn, apples, pears, and plums were good enough that after opening a test can of each, I put in my food storage. "I use to think that Mountain House was a little expensive but after seeing how the quality held up -- I'm a believer." HUGE News from Mountain House: Unprecedented Discounts in Sep.; Prices Not Seen in Decades! 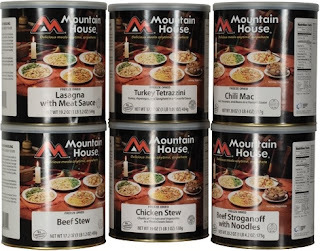 Late Friday afternoon, Mountain House sent an announcement to dealers revealing that for the entire month of September, they are providing unprecedented discounts to dealers on all their #10-can varieties--yep, the prepper's dream: the ultimate 30-year shelf-life food. Not only that, they are releasing dealers from all price controls for the entire month! This kind of move has NEVER taken place before for MH food. What it means is we are going to be offering prices not seen for MH food in decades ... and our members will also get the various significant incentives our current programs are providing you. Later this week, we will spell all that out for you. 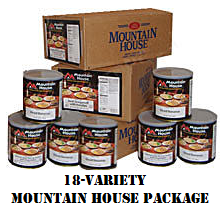 In the meantime, you might want to start to plan to top off your preps with the world's premier storage food and start basking in the peace of mind that only stacks of Mountain House food can deliver. Browse the 42 MH can varieties. See today's entire email announcement. 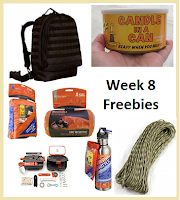 Just launched: our Week-8 freebie package in the ongoing series of Inventory Redistribution offers ... Real preps worth a total of $293 that everyone should have with them at all times ... qualifying member purchases earn a FREE 100' hank of multicam paracord, a 50-hour candle in a can w/ matches, an amazing bundle of SOL survival gear, and a mil-spec molle-system backpack! See our complete member email here with much more about current and coming deals. 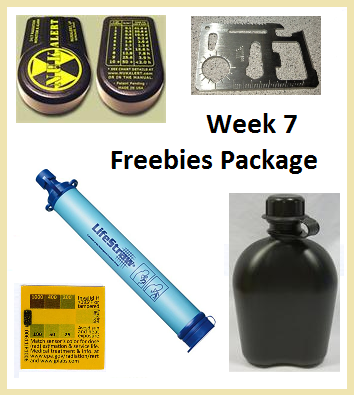 Week-7 Freebies Offer at Safecastle includes NukAlerts, RADStickers, LifeStraws, and more! Our buyers club members just keep on raking in the free preps and rebates and savings. Check this week's Inventory Redistribution offer here. 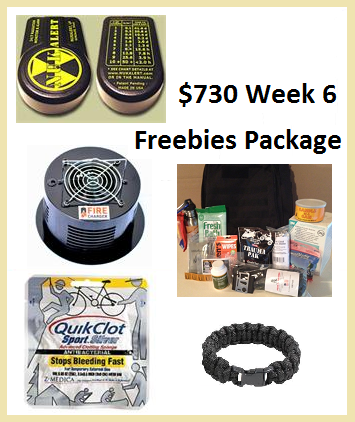 Week 6 Freebie Package Worth Up to $730! 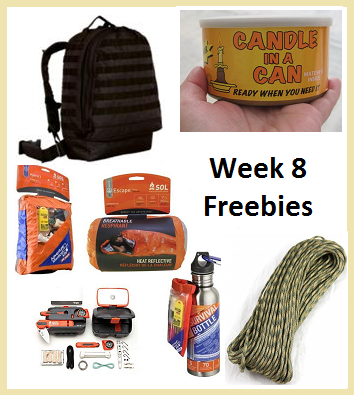 The sixth week of our ongoing series of Inventory Redistribution offers is more than twice the value of any previous weekly package--so this is definitely the time to make your move if you have been waiting for the right package to jump in for ... qualifying members receive a FREE Paracord Bracelet, a package of QuikClot Silver, a Firecharger, a NukAlert, and a Special Fortify to Survive Bag full of must-haves. LOTS of New Affordable Preps Listed! In the last two weeks, we have established relationships with several new suppliers. What that means is many new preps for you to choose from to further fortify your household. Browse all Our Newest products here. And don't forget about our current preps that are NOW ON SALE. It's actually possible to save 50% on major preps purchases at Safecastle this month when you carefully consider the three stackable incentive offers in play that we are calling a Members Trifecta and our NOW ON SALE listings. Want to know more? Click on the three appropriate links at the top left of every page in our store for those three incentive programs ... or get a sense of how one member took advantage last week by reading this. 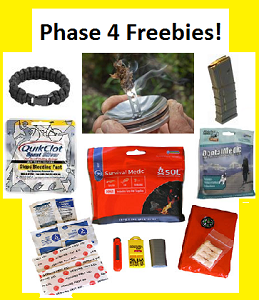 The sixth week of our ongoing series of Inventory Redistribution offers is more than twice the value of any previous weekly package--so this is definitely the time to make your move if you have been waiting for the right package to jump in for ... qualifying members will receive a FREE Paracord Bracelet, a package of QuikClot Silver, a Firecharger, a NukAlert, and a Special Fortify to Survive Bag full of must-haves. 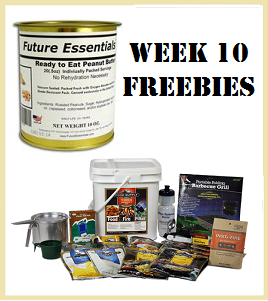 MRE Markdown: Only till Aug. 12! Just Announced: Big MRE Markdown - Till Aug. 12 Only! 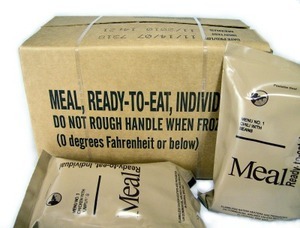 Our MRE distributor just offered us a great deal on 2012-packed MREs ... good only till noon, Monday, Aug. 12. Member-discounted pricing on these Menu C Military MREs is unbeatable; best savings are offered on purchases of two cases or more. Shipping is free of course. More info in latest email. Labels: Nuclear preparedness, Radiological preparedness, War, Why prepare? For all the meaty details ... click here. 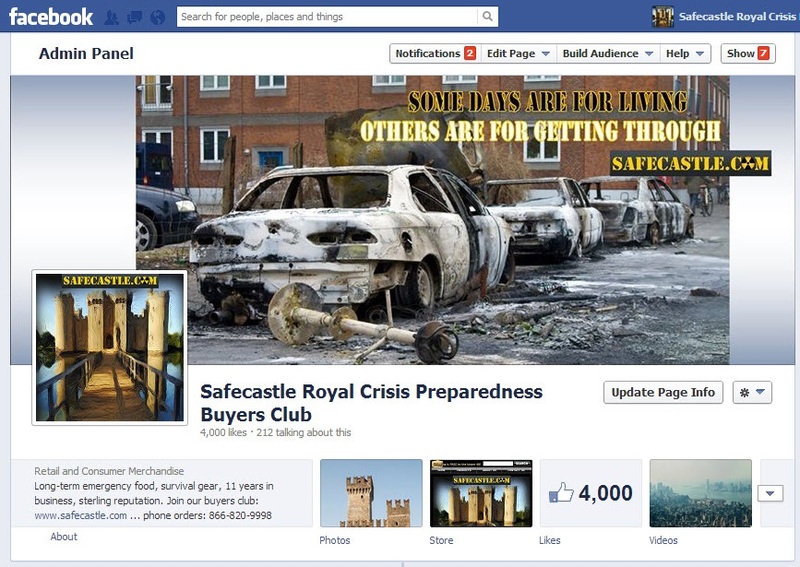 We've reached another worthy milestone ... 4000 Facebook Likes of our Safecastle page! That means free lifetime buyers club memberships for the next 4 days ... each membership a $49 value! We've set a limit of 40 memberships, so act fast. Phase 2 of Safecastle's Inventory-Redistribution-Offer Includes Free NukAlerts! Phase 2 Offer, $12K Inventory Re-Distribution Begins! 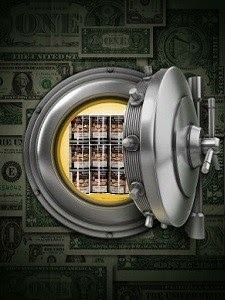 Safecastle Royal Buyers Club members are raking in easy FREE preps as we blowout our inventory. 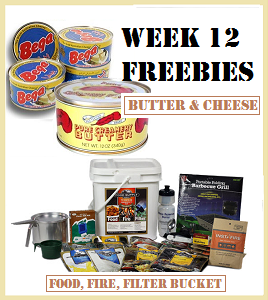 On a weekly basis, we are posting in this space our current freebie incentives that member purchases can qualify for. We are sending out $12,000 worth of gear and supplies as freebies to our members, so be sure you get your fair share. The Phase 2 offer begins today July 12, and includes the opportunity for a free NukAlert! Feeling the future? 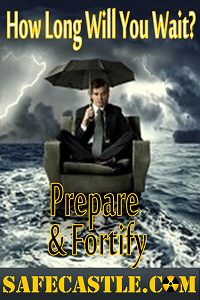 Only you can prepare and fortify your household. Most of our customers are well on their way to securing their homestead to the best of their abilities. We offer many options and opportunities to assist in that mission. A few key representative products that are helping many to fortify and endure what is coming can be found here. Top-off your preps with 6 months no-payments, no-interest financing! Get 6 months to pay for your discounted Safecastle preps thru Paypal's "Bill Me Later" program. Click on the Paypal banners in our store for details. Feel the future? It's charging over the horizon, and if you haven't yet come to the realization that only you can prepare and fortify your household, then we wish you well. Most of our customers are well on their way to securing their homestead to the best of their abilities. We offer many options and opportunities to assist in that mission. A few key representative products that are helping many to fortify and endure what is coming can be found here. Safecastle Royal Buyers Club members are once again in position to rake in some easy bounty as we blow-out our inventory. On a weekly basis going forward, we are posting in this space our current freebie incentives that member purchases can qualify them for. Note that all a club member needs to do is make a purchase that meets the offer threshold and the freebie(s) will automatically be sent (freebies will not appear in your shopping cart). At this point, we have identified $12,000 worth of gear and supplies that we are sending out as freebies to our members, so be sure you get your fair share. 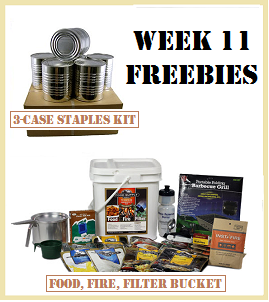 - of at least $1000 ALSO receives a VitalGrill Survival Stove! Remember--this is just the beginning of this crazy inventory reduction program--keep checking back for some really cool freebie preps that are in the queue. Most club purchases are member discounted and they always ship free to the lower 48. Of course many of our most popular products are Now On Sale to boot! Oh yes--we can't also forget to mention the ongoing Loyalty Royalty program that adds still another level of savings and rewards! 1. 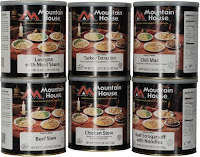 Mountain House Buckets and many of the MH canned varieties go up in price (manufacturer pricing). Also, we draw our next winner in our 2013 Loyalty Royalty program. For more on those things, see this. 2. 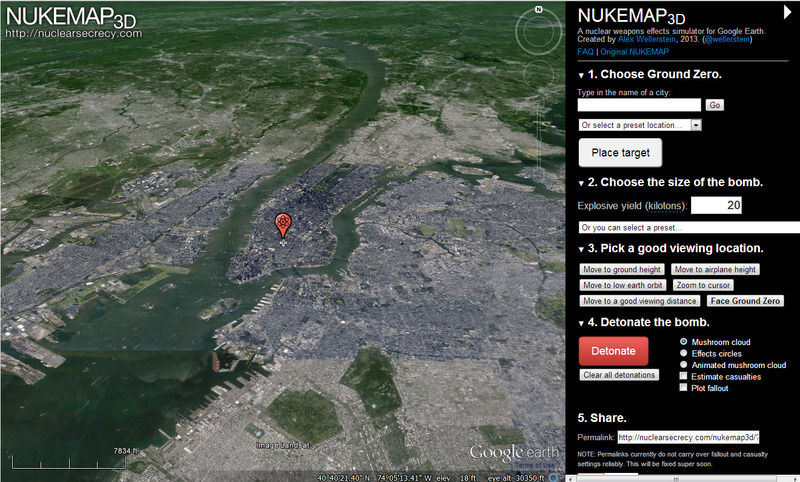 July 1 is also our next Facebook Safecastle-page-liker drawing. Be sure to like the Safecastle page AND share the linked post. Don't forget to look in on the NOW ON SALE category regularly for your best opportunities to get the best preps at your best prices. 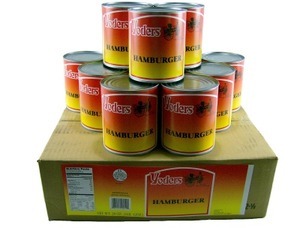 Examples: the ever-popular Yoders Meat Variety Pack; Yoders Bacon; Bega Canned Cheese; and Red Feather Butter. 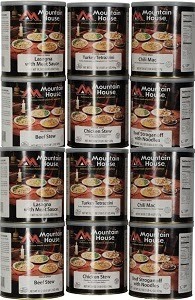 Mountain House Buckets and Cans Go Up in Price July 1! ---The good news is that we still have the buckets on sale and several MH canned varieties as well. ---Shop here today to get your best sale prices while you can. Later" program. Click on the Paypal banners in our store for details. Lots of top-quality preps on sale right now. 6-months no-interest, no-payments financing. Get it done before it's too late. Those of you who qualified for and received reward gift certificates in the last several weeks: please note that your gift certificates expire tomorrow June 15, so be sure to use them before they expire. 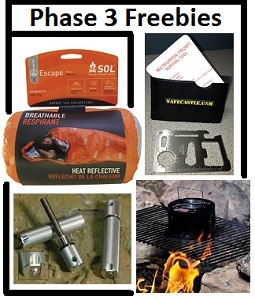 We're continually adding new products for your preparedness program. Check in on the Our Newest category regularly. A couple of our latest products lines are the affordable Kelly Kettles and Family Grain Mills! The tornadoes that devastated Oklahoma and other parts of the South recently make it clear that natural disasters can strike at any time. Hurricane season has just started and parts of the South are already being impacted. And all of that is not to mention constant concerns about attacks on America. Are you prepared? Do you have your necessities packed and ready to go? If not, please take the time to review this checklist to help you build one that the team at Insurance Town has put together in collaboration with Safecastle.com. Your family's lives may depend upon it some day. Just gather the items listed below and keep in a location that is easy to access and is known to the whole family. FEMA advises that you should have at least one gallon of water per person per day. Family members who are elderly, infirm, or pregnant may require more. The water is primarily for drinking, but the recommended amount per day includes water for washing hands and brushing teeth. A good rule-of-thumb is to prepare for three days (72 hours) without access to clean water. However, the devastation of Hurricane Katrina demonstrated that the reality could be much longer than 72 hours depending upon where you live; plan accordingly. You can either choose to store clean water in a sealed container or use a portable filter like this one from Berkey that offers optional features like solar power capabilities and an LED lit base. Experts say to pack 3 days of non-perishable food per person. Non-perishable foods do not require any form of refrigeration for them to stay good. 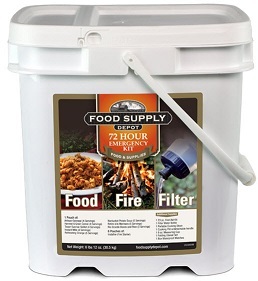 It is best to choose foods that do not require cooking or water since both could be unavailable during a disaster. Safecastle offers MRE STAR prepackaged meals which require no cooking or water and are in good standing with the USDA and the FDA. Beware of emergency food bars that contain coconut oil or other tropical oils as many people prove allergic to these. Be certain to choose food that your family will be able to eat. In the case of any disaster, it is a good idea to hope for the best, but plan for the worst. Make certain that you have copies of all of your family's important papers -- such as passports, birth certificates, social security cards, medical insurance cards, medical prescriptions, firearm registrations, deeds, titles, house and car insurance contracts, and any other papers or information you may need to rebuild your life if your house is destroyed. Sometimes personal hygiene issues can make us feel the most vulnerable and helpless. You can keep your family from feeling this vulnerability and maybe even be able to help others. Be certain to pack moist towelettes, face tissue, toothbrushes, toothpaste, combs, towels, soap, and any other personal hygiene supplies your family may need to be comfortable. Many people these days have a smartphone or tablet computer. There are also small portable game systems, cell phones, laptops, and a host of other small electronic devices that might prove useful, if you can keep them charged. 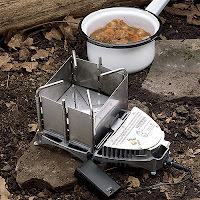 If your family depends upon their personal electronics, then you may want to invest in a solar-powered charger or a small hand crank generator for your survival kit. Otherwise, make certain that you pack lots of batteries to keep those personal electronics fed; lithium batteries have the best shelf life. Sometimes the disaster is of such a nature that the authorities determine the best course of action to keep people safe is to implement shelter in place protocols. To be prepared for this possibility, you should measure all of your windows and doors so that you can purchase the appropriate amount of plastic sheeting and duct tape to cover over all of them. At the same time, purchase filter masks for your family. In light of the recent rash of tornadoes in the South and Midwest, the topic of safe rooms has frequently come up. These are optimal for people who wish to have further protection from the elements or any potential disasters. Safecastle offers safe room quotes and construction for those who are interested in this top of the line option for your safety. No matter what the emergency or disaster may be, you will be better prepared if you gather the items on this list. Do it for your family. Stephen Whitmore is a freelance blogger for InsuranceTown.com. 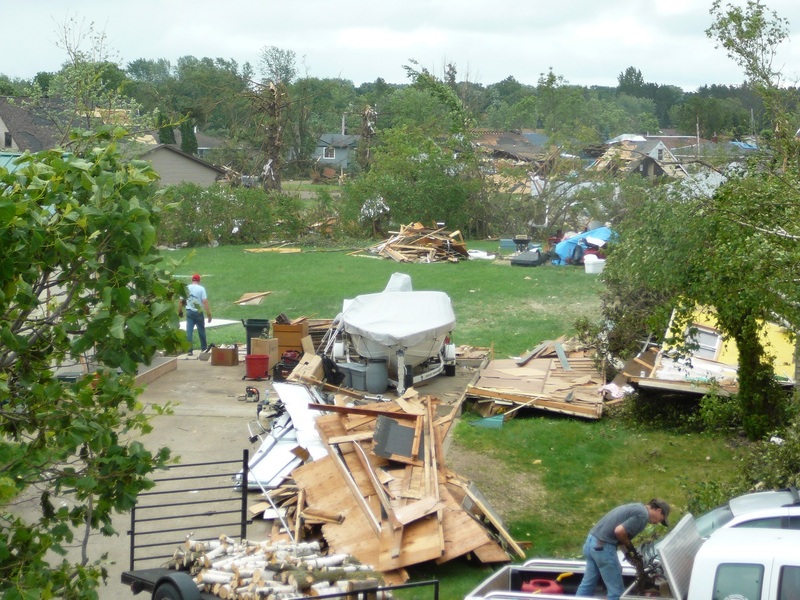 His writing often covers the ins and outs of insurance issues related to weather incidents.